It has been 5 years since we experimented with the different ways to use NatureKast and if I could figure out other ways to use it I would. It has held up perfectly to the harsh beach weather. We live directly on the beach and our NatureKast gets some sun and all the weather the gulf has to offer. The color has remained the same and there has been no warping of any kind. NatureKast has truly been a great product for us and we would highly recommend it for any outdoor use. 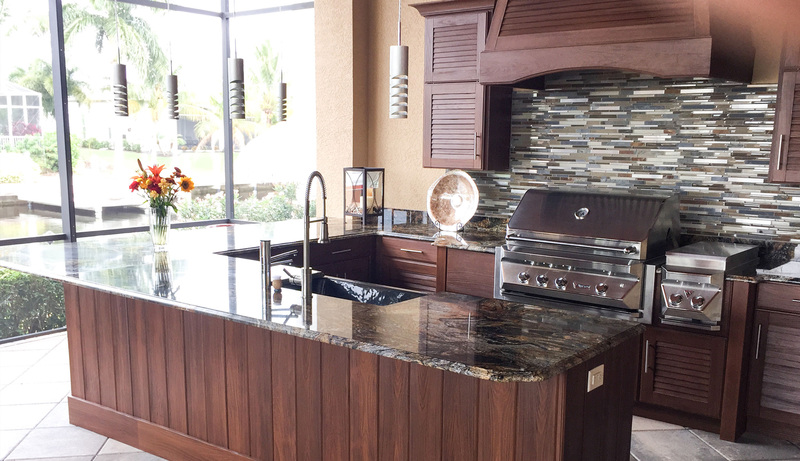 I love my NatureKast outdoor Kitchen and recommend the product to all our clients at Emerald Coast Building Contractors ! 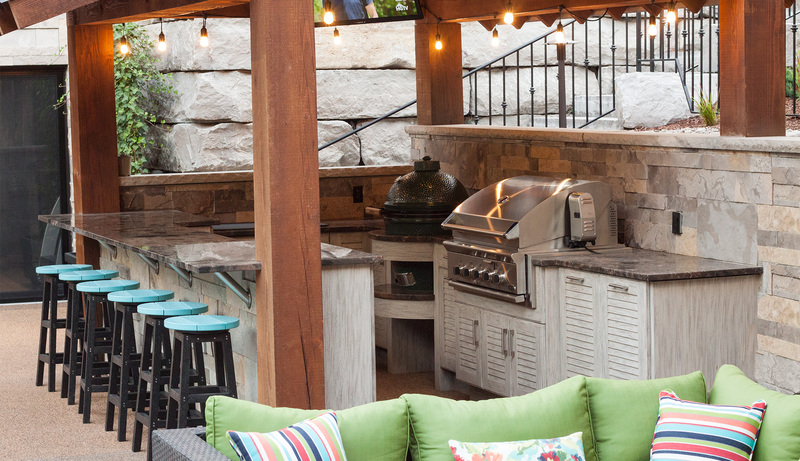 Our outdoor kitchen is amazing! It has become the focal point of any get-together we have. It is the first thing that our guests notice and complement us on. 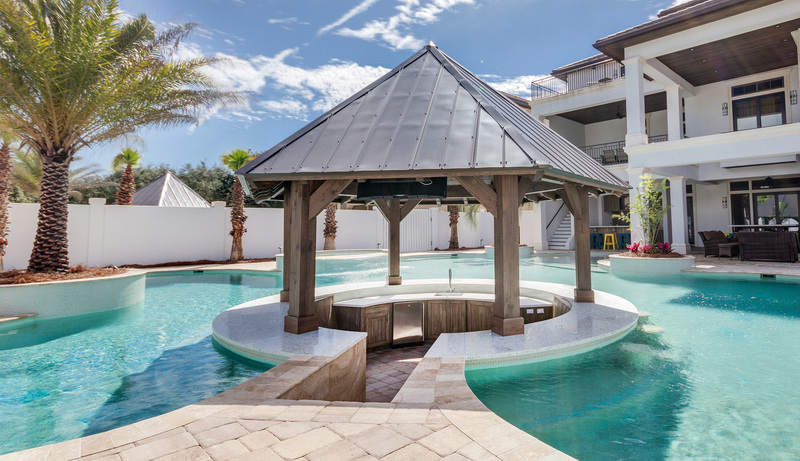 We are so pleased with the craftsmanship and durability of the NatureKast material and its ability to withstand the elements. Absolutely no problems!…We have dinner and a cold beverage several nights of the week outside and just enjoy life! 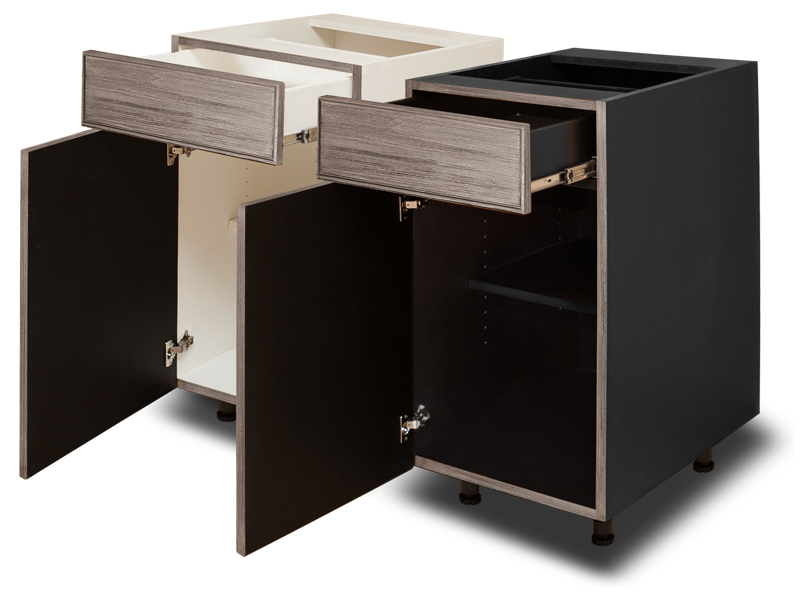 NatureKast has created a complete line of waterproof cabinets that look like wood but are actually not wood at all. How can you tell the difference? Wait until spring. 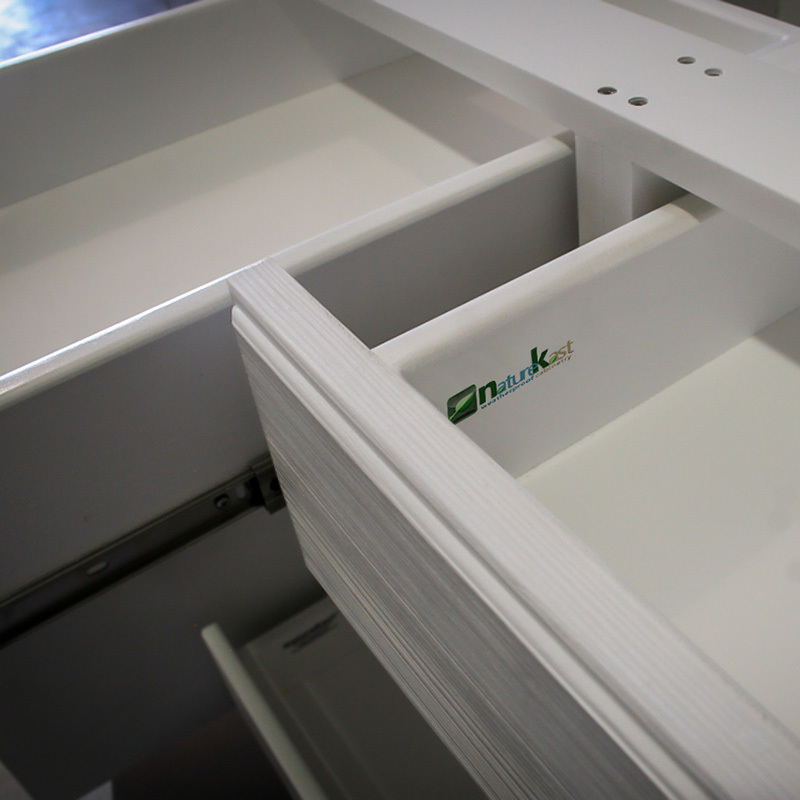 These cabinets are made with a technologically-advanced, high-density resin system, which means they won’t crack, split or rot, regardless of the amount of rain, humidity, heat or other environmental nasties they may be exposed to. You can even leave these babies out in the snow! … NatureKast delivers! From the measuring and design phase to the installation. Many ideas and affordable upgrades made our kitchen one of the best in our community. 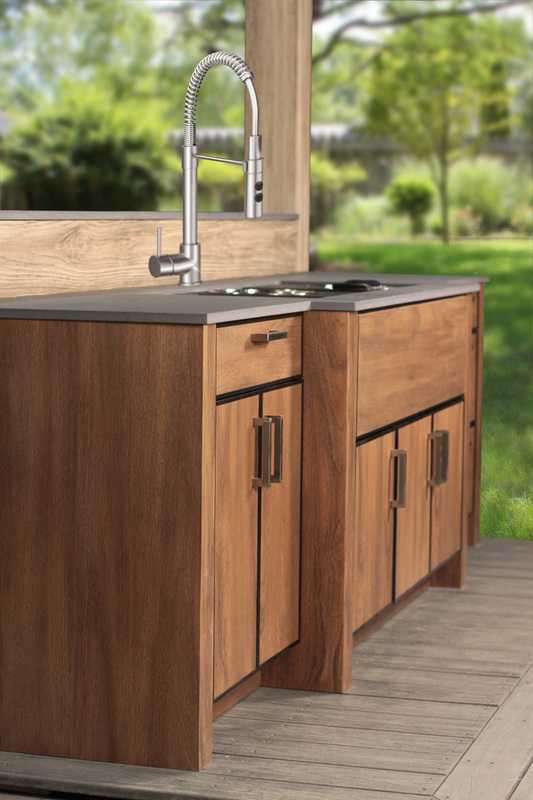 Our company has been using the NatureKast outdoor cabinetry for about 5 years. 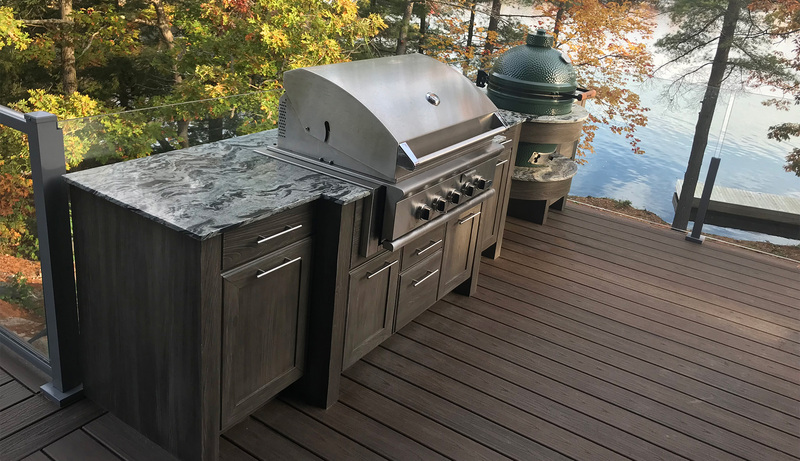 We had several issues when we were using other outdoor materials and since going to the NatureKast cabinetry, we have had no problems and our outdoor kitchens look the same as the day we put them in, years later. Most of our homes are used for rentals here in the Gulf Coast of Florida and they take a lot of abuse, so this cabinet not only looks great, but is really durable and the maintenance to keep it looking good is just hosing it off. NatureKast is a big part of why our homes are special. 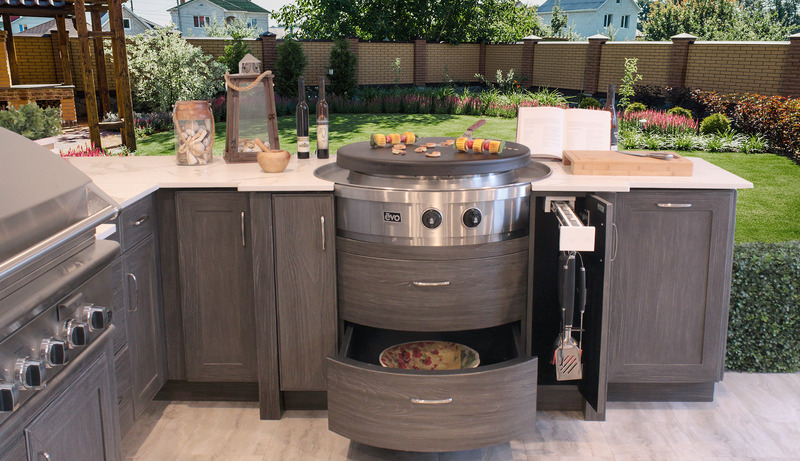 We love our NatureKast outdoor kitchen. It has not only added to the enjoyment of our home, but also its value. I have been using NatureKast for our outdoor living areas for close to 8 years and would not go back to real wood cabinets for outdoors. 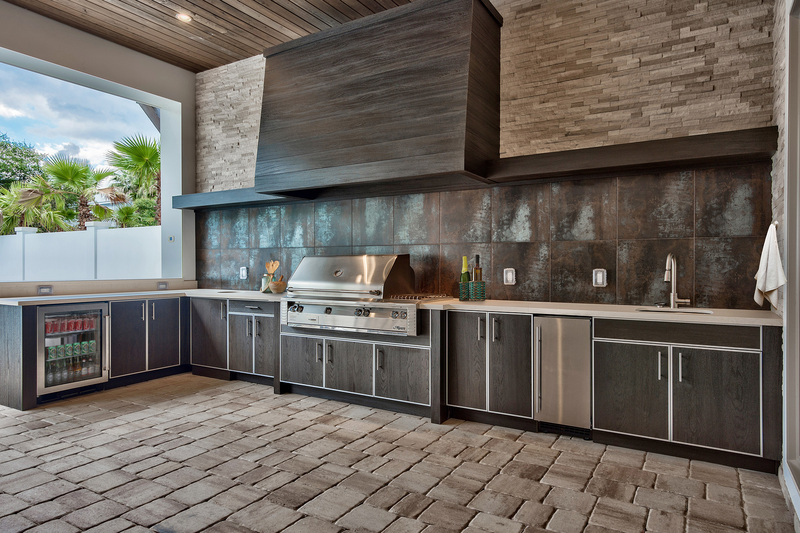 We also use the resin wood matching planks for our outdoor ceilings to match the cabinets. 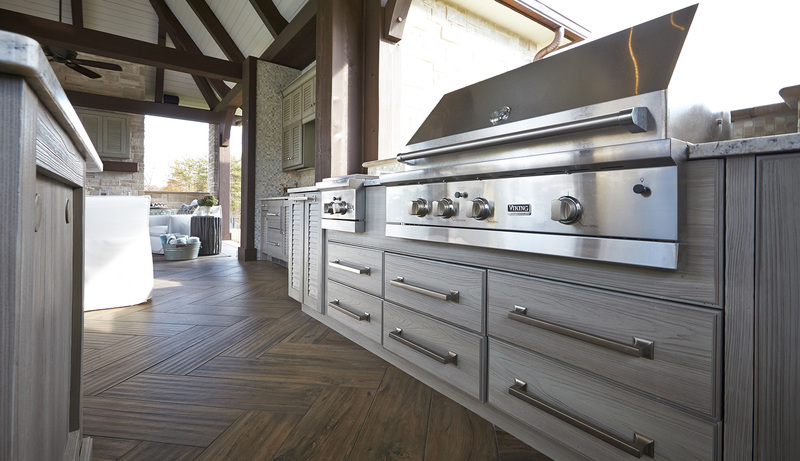 Great look and no worries about the wood warping or fading like previous outdoor kitchens we have done in the past.